NEW YORK — In a letter made available to Truth Wins Out, the authors of a book on the health of gay men have accused Focus on the Family of distorting their research. The researchers publicly repudiated an article written by “ex-gay” activist Jeff Johnston in Focus on the Family’ web magazine, Citizen Link, which falsely linked homosexuality to childhood sexual abuse. This letter marks the tenth researcher in two years who has claimed that Focus on the Family misrepresented their work. 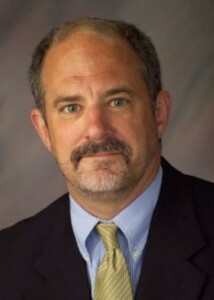 In the article, “Childhood Sexual Abuse and Male Homosexuality”, Johnston wrote, “Many pro-gay researchers, activists and theorists deny that there could be a connection between child sexual abuse and adult homosexuality.” As proof of a supposed connection, he cited a 2008 book, “Unequal Opportunity: Health Disparities Affecting Gay and Bisexual Men in the United States”, edited by Professors Richard J. Wolitski, Ron Stall (pictured), and Ronald O. Valdiserri. When approached by Truth Wins Out, the researchers were surprised by the manipulation of their data and agreed to respond. Focus on the Family has made a habit out of twisting science to back its anti-gay agenda. Melissa Fryrear, a Love Won Out speaker, has also repeated the phony link between abuse and homosexuality. We want to respond to a recent Focus on the Family characterization of scientific findings reported in our book, Unequal Opportunity: Health Disparities Affecting Gay and Bisexual Men in the United States (Oxford University Press) that misrepresented findings in the book to suggest that childhood sexual abuse causes male homosexuality. The Focus on the Family description of the findings reported in Unequal Opportunity is inaccurate and, in our opinion, a distortion of the scientific literature. Most basically, the Focus on the Family characterization of the literature on childhood sexual abuse among gay men represents a misunderstanding of scientific approaches to distinguishing between correlation and causation. The book chapter in question reports that gay men are more likely to report childhood sexual abuse by men than are heterosexual men. This correlation does not mean that the reported abuse caused the adult sexual orientation. If that were the case, then the fact that some heterosexual men report sexual abuse by women means that sexual abuse by women “causes” heterosexuality in men. It is also worth noting that the argument that childhood sexual abuse causes homosexuality in gay men is undermined by the fact that the vast majority of gay men are not sexually abused as children. One potential partial explanation for this correlation, and one that makes the most sense when you consider people of all orientations, is that some youth, particularly post-pubertal youth (who still cannot legally consent to sexual activity) have sexual experiences with males or females, depending on their pre-existing orientation. Let’ be very clear that this does not mean that these experiences are appropriate or healthy. However, it also does not mean that these experiences caused the sexual orientation of the youth. The development of a person’ sexual orientation is a complex and multifaceted process. The research into these processes has barely begun, and the development of sexuality is very difficult to study. Mischaracterizations of the scientific literature on the development of sexual orientation is not helpful to science. Rather than mischaracterize these findings, we would like to point out the harm to health that can be caused by childhood sexual abuse among boys and girls of all sexual orientations. Childhood sexual abuse occurs to far too many young Americans and a large and growing literature supports that this abuse can cause lifelong damage to the physical and mental health and well-being of men and women of all sexual orientations. We suggest that Focus on the Family and other concerned organizations focus on how to work to ensure that all of our children remain safe from unwanted sexual experiences– whether heterosexual or homosexual. That said, we want to state clearly that the published research does not support the claim that the development of a homosexual orientation is caused by childhood sexual abuse. Furthermore, adult homosexual orientation is no longer considered a pathology or a maladjustment. We urge those who are interested in trying to better understand some of these complex issues from a scientific perspective to read the discussions in our book, as well as the scientific literature on childhood sexual abuse, and not rely on second-hand interpretations. Prior distortions of scientific data can be viewed at www.RespectMyResearch.org, a project of Truth Wins Out. Truth Wins Out is a non-profit organization that counters right wing propaganda, exposes the “ex-gay” myth and educates America about gay life.